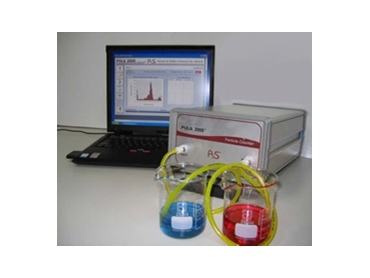 Available from Particle & Surface Sciences POLA 2000 liquid particle counters are durable and have been specifically designed for the counting of particles in a range of liquids utilising a laser light obscuration. POLA 2000 liquid particle counters are suitable for use in biological applications, as well as being capable of cell counting in hydraulic fluids and used oils, amongst other liquids. They are easy to operate and feature an IP54 rated enclosure that is supplied with a built-in carry handle for portability. POLA liquid particle counters will maintain a constant pump speed regardless of viscosity of the material, and have a flow rate of 25ml/min.